Take me out to the ballgame, A-Rod. 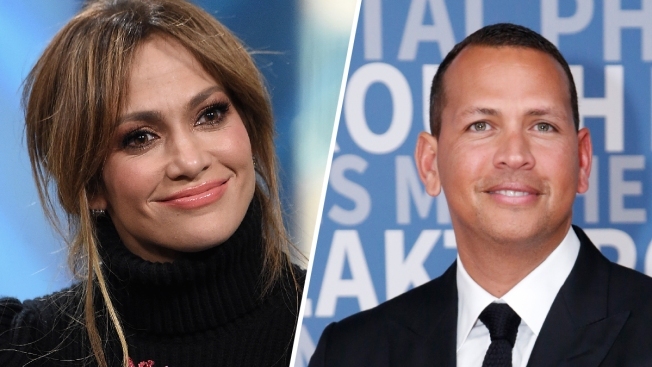 Back at spring training with the New York Yankees as a guest instructor, Alex Rodriguez watched part of Saturday's exhibition game against the Baltimore Orioles in a suite with singer-actress Jennifer Lopez. The two are said to be dating. A-Rod has been linked romantically to other Hollywood stars in the past, including Kate Hudson and Cameron Diaz. Rodriguez was released by the Yankees last August with more than a season left on his $275 million, 10-year contract. The 41-year-old former slugger began his first stint as a guest instructor with the team last month and said his playing days are over. Fox recently announced a multiyear deal with Rodriguez that expands his broadcasting role with the network. A-Rod hit 696 home runs during 22 years in the big leagues, leaving him fourth on the career list. He was suspended for the 2014 season for violating Major League Baseball's drug agreement and labor contract.